Director Reza Mirkarimi had also won the Grand Prix in 2008. The Iranian film ‘Daughter,’ directed by Reza Mirkarimi, was awarded the Grand Prix (the Gold St George statuette) at the 38th Moscow International Film Festival, which ended on June 30. This is the Iranian director’s second Moscow Grand Prix. Mirkarimi had received the Grand Prix for his film ‘As Simple As That’ at the Moscow film festival in 2008. 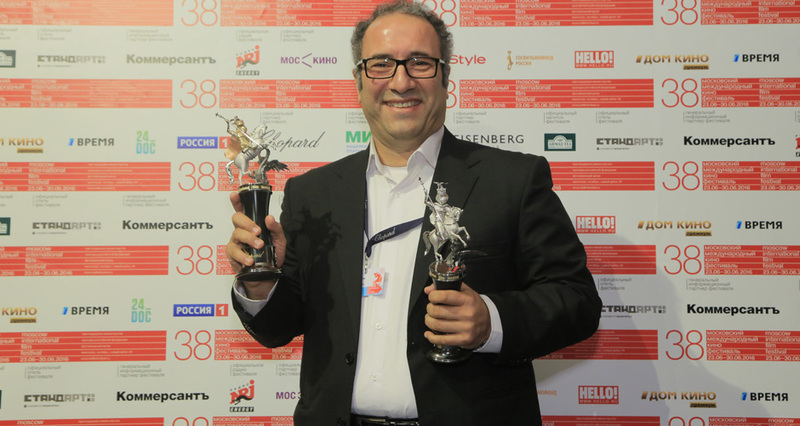 “This is a second time I got a Gold St George in Moscow, and I received both prizes for films about family values,” Mirkarimi said while accepting the award. Daughter is a drama about a traditional Iranian family where a conservative father takes all the decisions. A family conflict arises when fifteen-year-old Segareh takes a flight to Tehran to see off a friend who is immigrating to Canada, instead of staying for her younger sister’s engagement. Farhad Aslani who plays the girl’s father was named the Best Actor at the festival, while the Best Actress award went to 13-year-old Teresa Malvar from the Philippines for her role in the social drama ‘Haze’ highlighting the plight of homeless children.